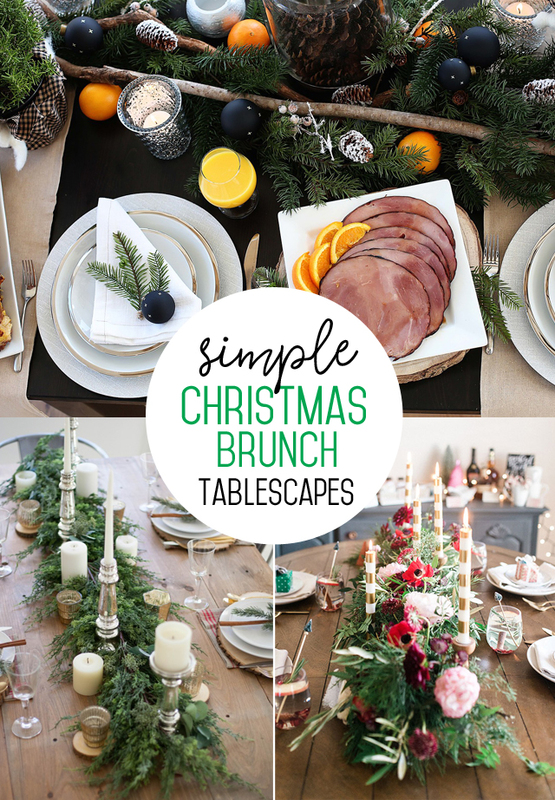 I’m so excited to share a simple Christmas Brunch tablescape that I put together with some of our friends, Pam at Over the Big Moon, Amy at Liv and Hope, and Ashley at Ashley’s Fresh Fix, and we got most of the gorgeous decor you see here from Tai Pan Trading! At this time of year, its always wonderful to gather friends and loved ones together but sometimes it can be overwhelming to take on hosting such a gathering. 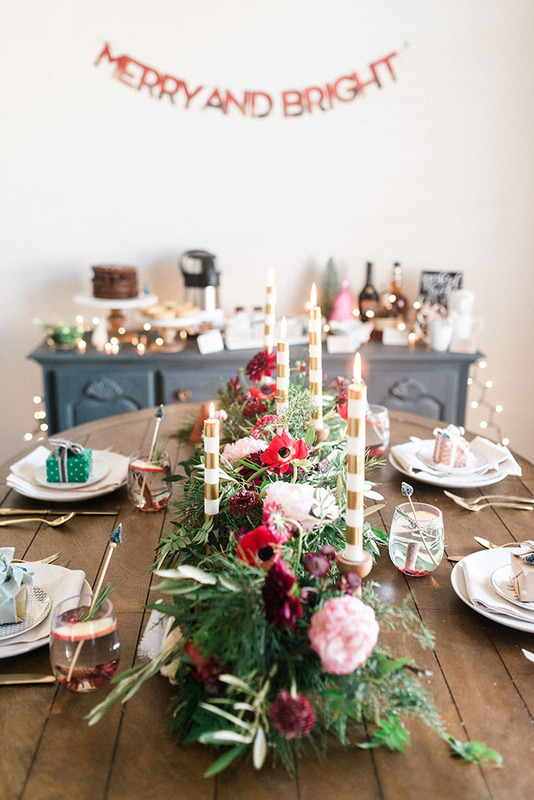 So I thought it would be helpful to share some simple steps for how to host a Christmas brunch and set up a beautiful table for your guests! 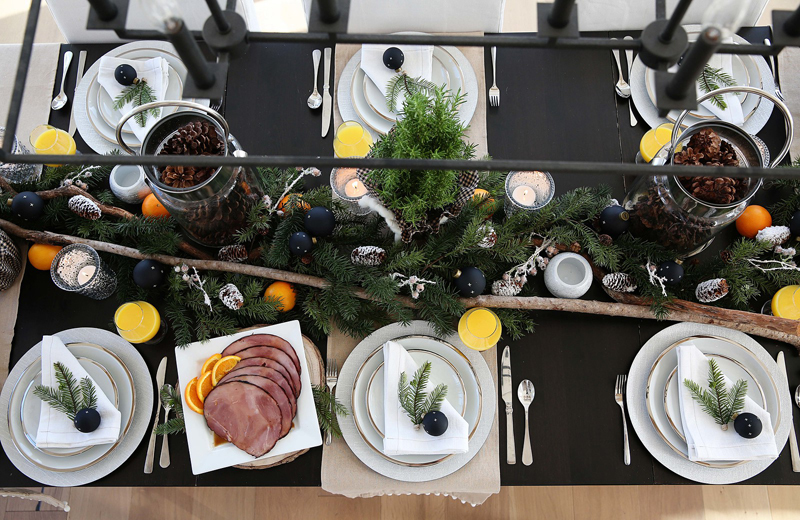 The foundation for any holiday table design should be greenery. 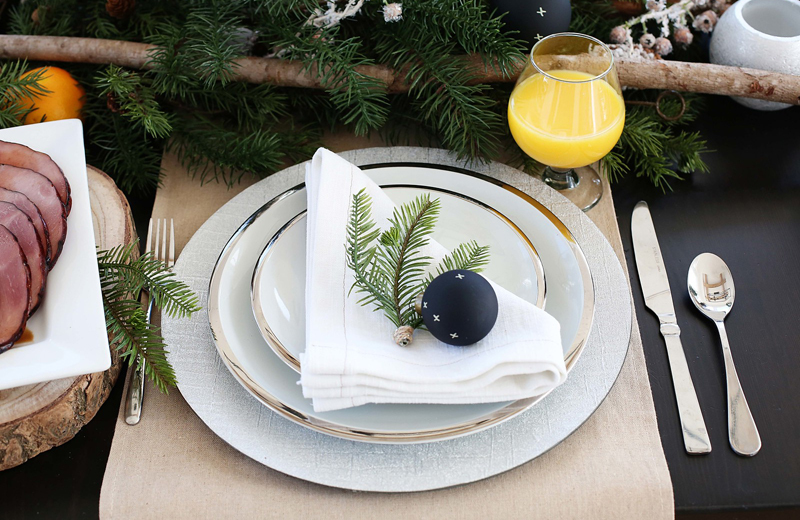 Evergreen is the most universal symbol of the Christmas season, and it instantly brings an element of nature and beauty to your table. 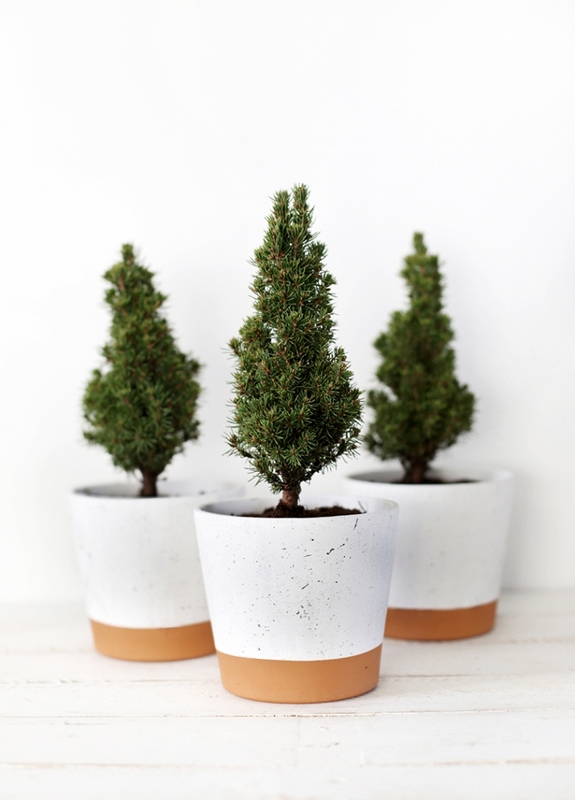 If you can get fresh greenery, that is ideal because of the texture and amazing smell it will bring to your home. 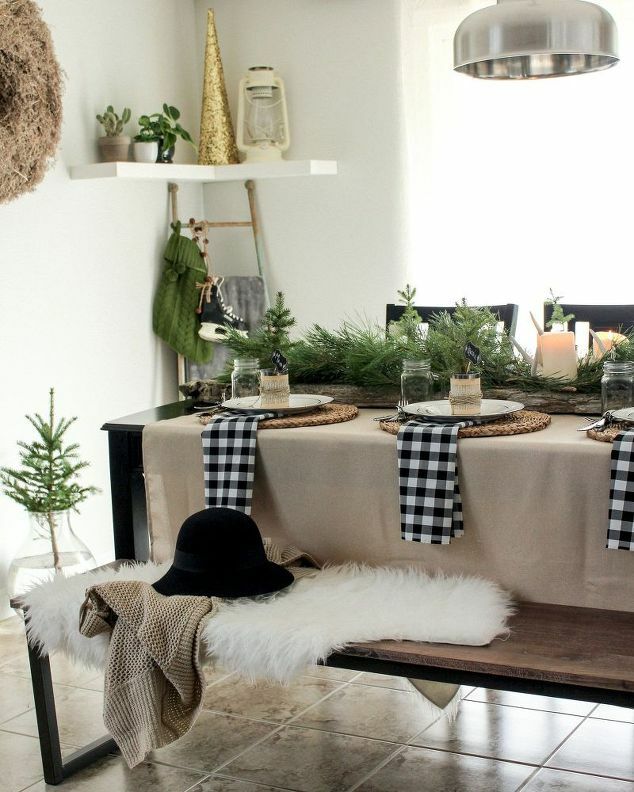 If you can’t get a fresh garland, these faux ones look just as great and you can reuse them from year to year. Find something to add height to the center of your table and group them in three. 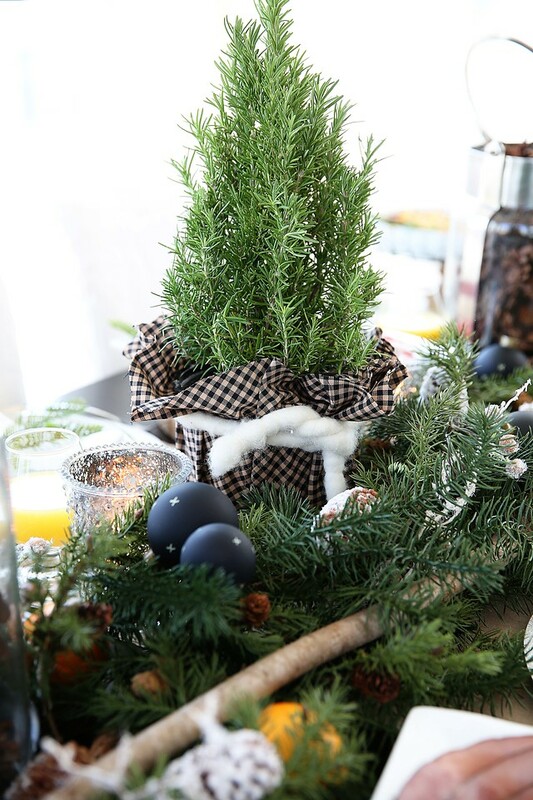 For our table, Amy used some live Rosemary mini trees from a local nursery and wrapped the pots in fabric. 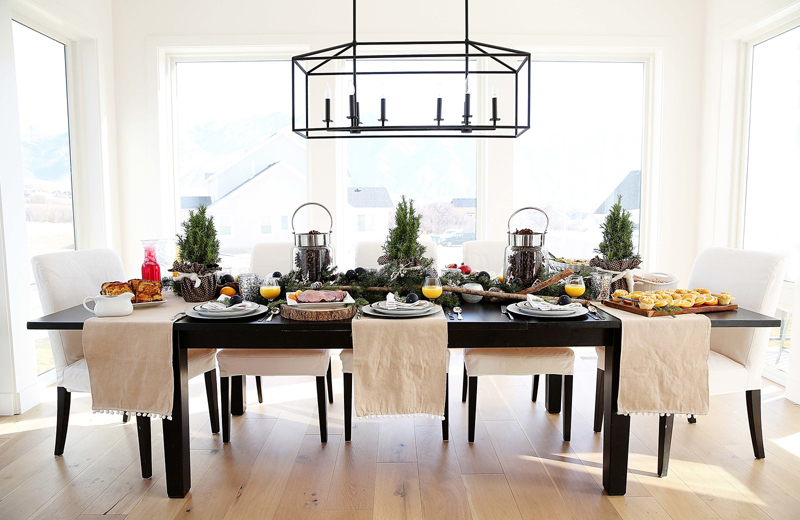 Three trees with two lanterns in between the centerpieces created a perfect balance for the table. Pinecones are a great filler for large containers or vases to add another seasonal element of nature. 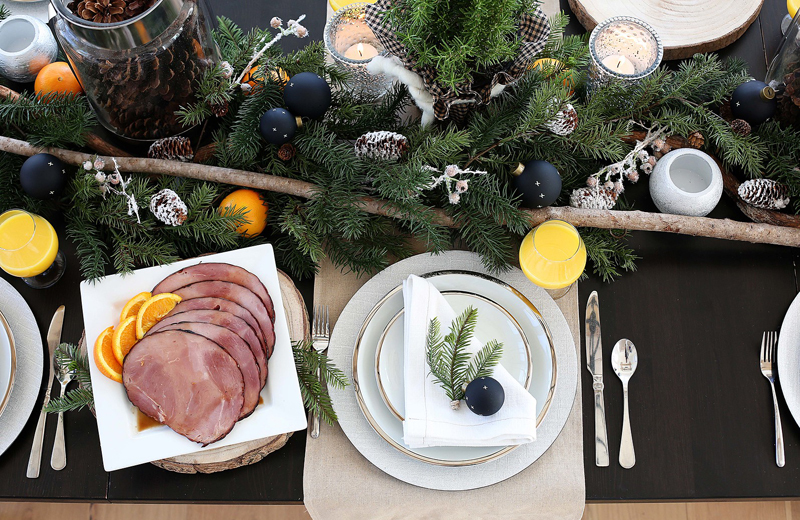 For this Christmas brunch, adding fresh oranges to the greenery was a simple way to tie in the other citrus elements of the meal, orange slices, orange juices, and orange glazed ham. For our table setting, we used these beautiful white and silver dishes from Tai Pan. They are a classic design that can be used with several styles of decor… traditional, modern, farmhouse, and more! Pam made the linen napkins and created mini stems of greenery wrapped in twine to add another layer of texture. 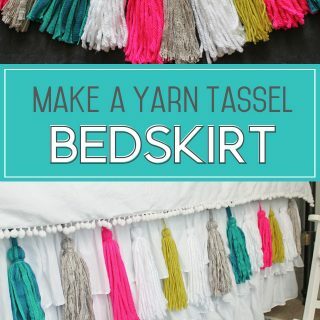 Get all of the details for her projects here. We finished off the design with a simple Christmas ornament and it ties the color scheme all together. 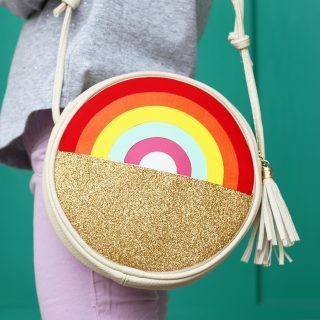 Add an element of light! Candles are an easy way to bring in some sparkle and light into your tablescape. 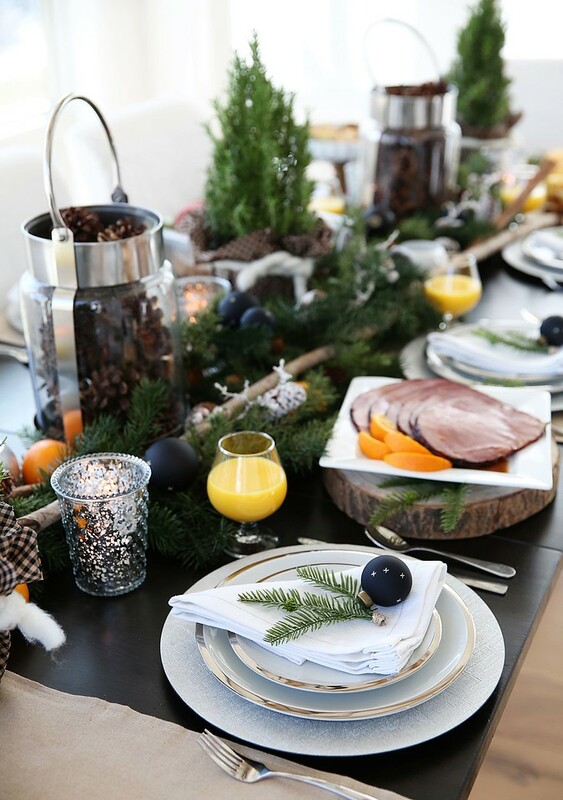 These silver mercury glass candles are a perfect compliment to the greenery and citrus elements of the table. 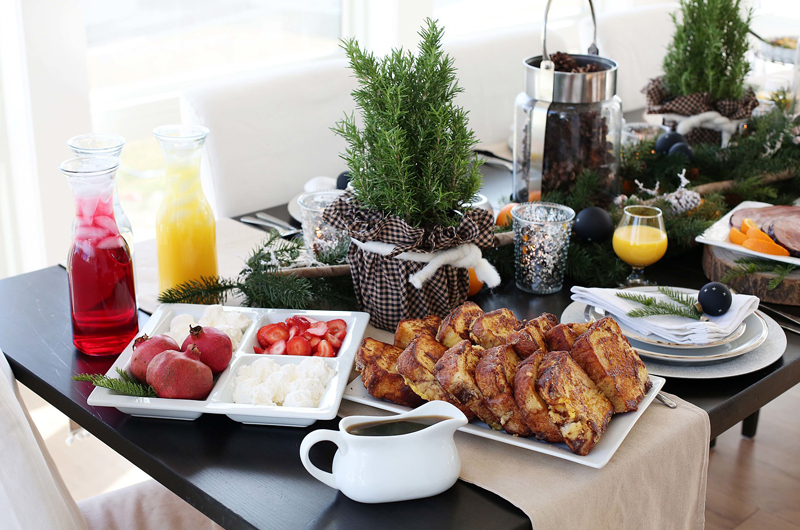 Last, but most definitely not least, the FOOD is the most important part of any brunch! 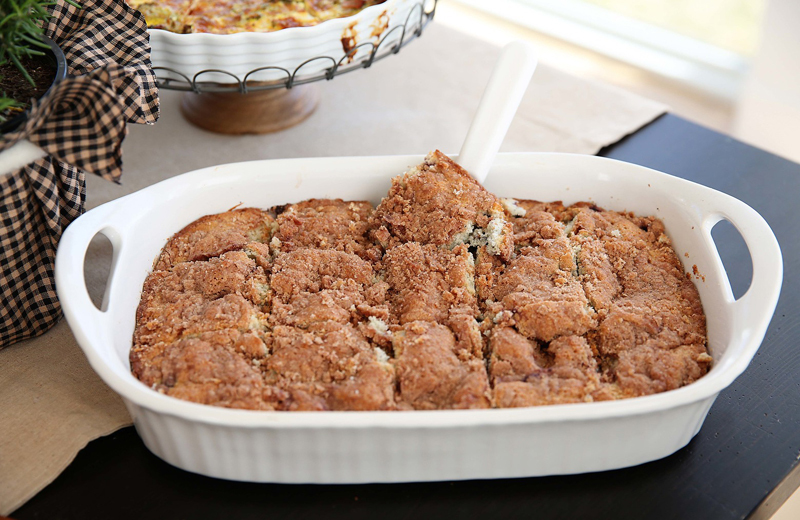 Make your guests feel right at home by serving a menu of foods that will remind them of their own Christmas breakfasts… french toast, quiche, muffins, streusel, and ham are a few of the foods we chose for our Christmas brunch. 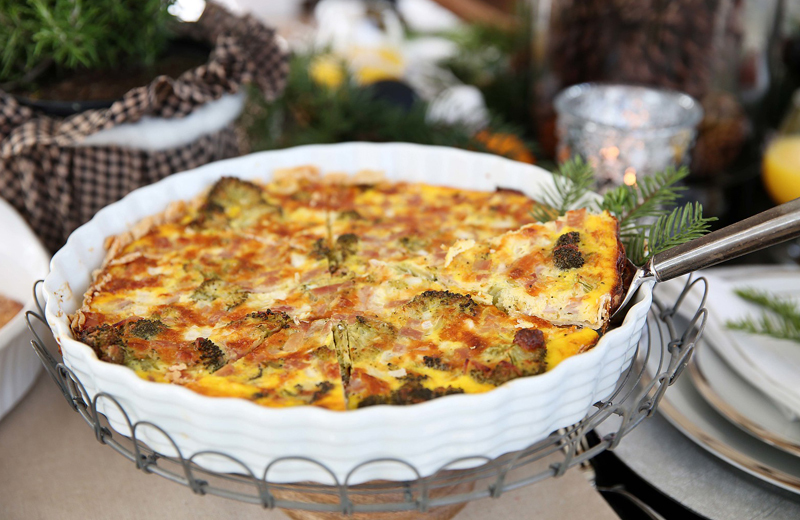 Pam from Over the Big Moon is sharing other great Christmas Brunch menu ideas too! 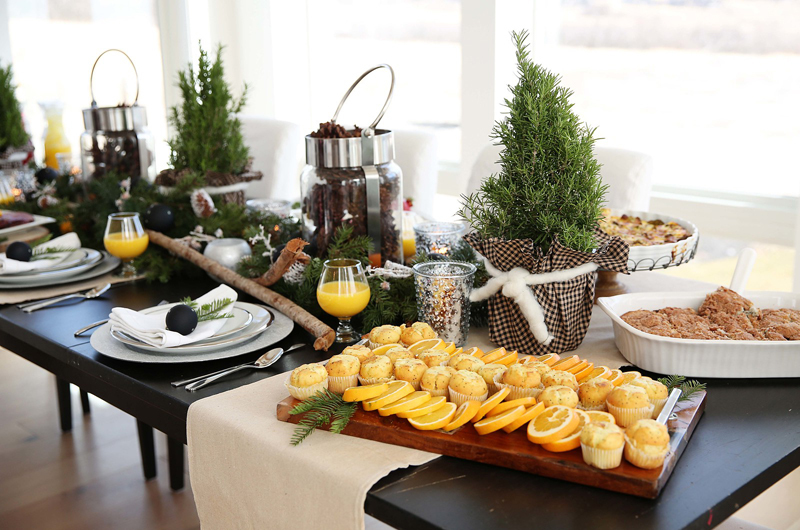 I thought I would also share some other beautiful Christmas brunch table ideas so you can be inspired to gather some girlfriends and neighbors and celebrate the season together! 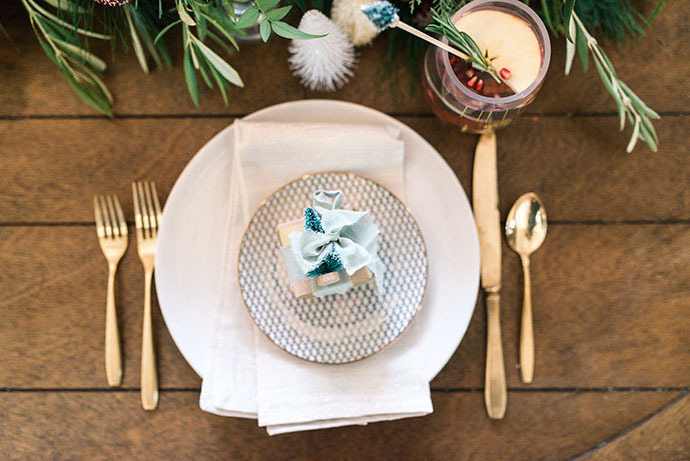 Each table setting is personalized with a small gift and mini tree embellishment! 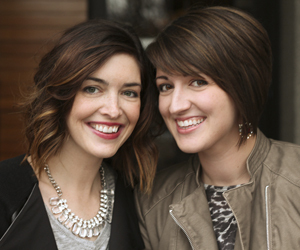 I love this idea for making your guests feel special. 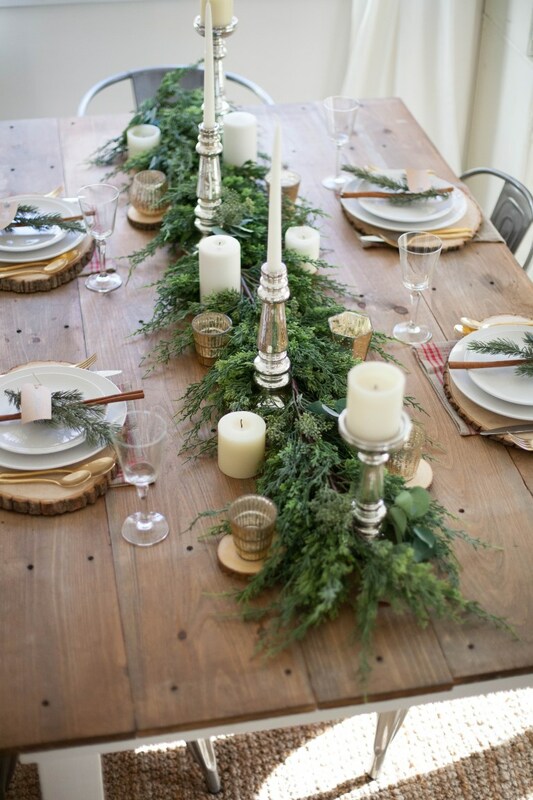 This farmhouse style Christmas tablescape from Lauren McBride is simply breathtaking! The combo of fresh greenery and mercury glass candlesticks would definitely meet Joanna’s approval. 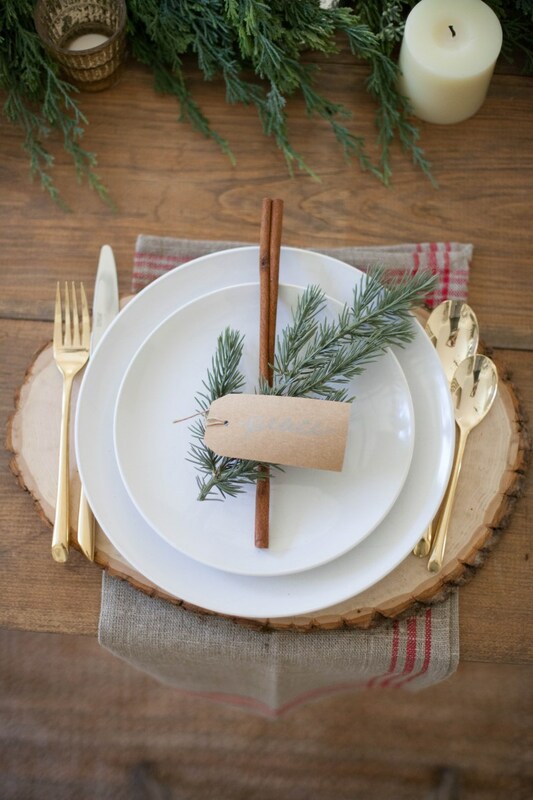 I love how she created a simple place setting with a single cinnamon stick and sprig of pine. 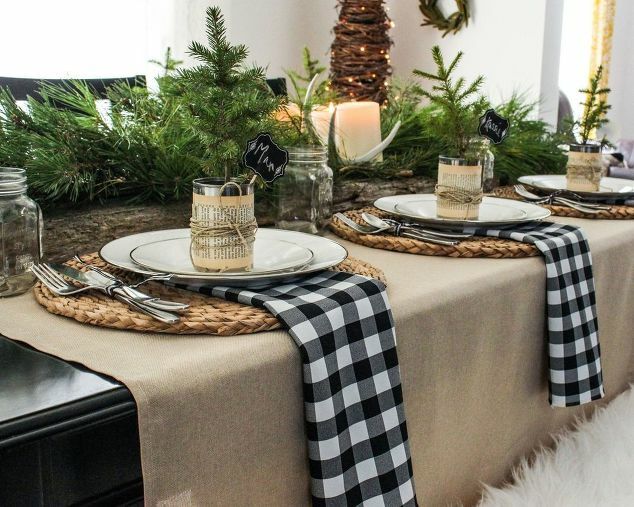 These No-sew buffalo check napkins are the star of this lovely table, and there is an easy step-by-step tutorial from Hometalk. 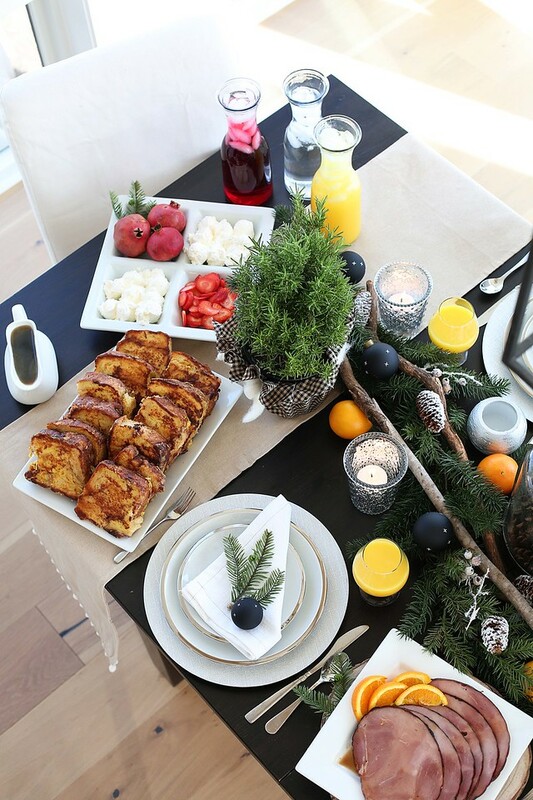 I hope all of these ideas have inspired you to host your own Christmas brunch this season! This post was created in partnership with Tai Pan Trading. Everything looks so lovely and the food looks yummy.